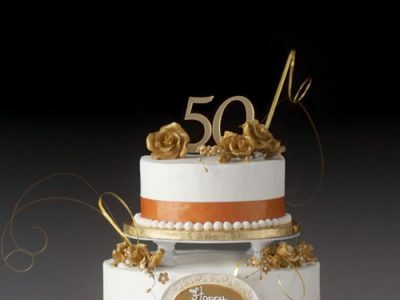 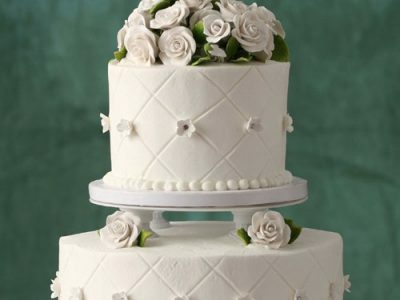 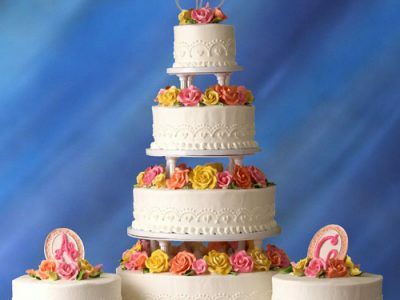 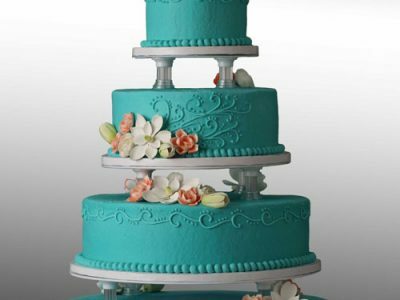 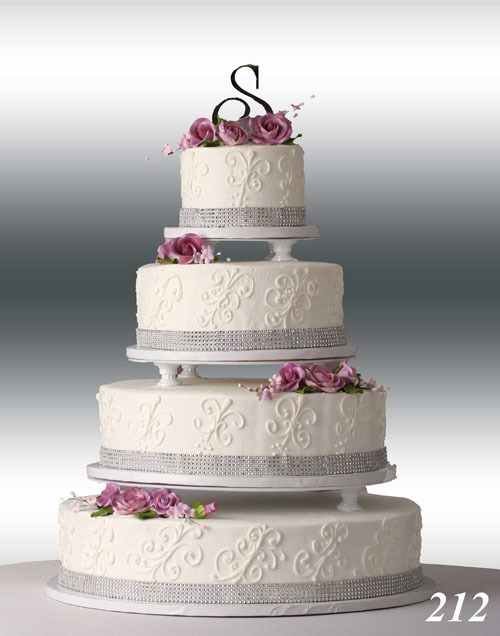 Let Schnucks help you design your wedding cake! 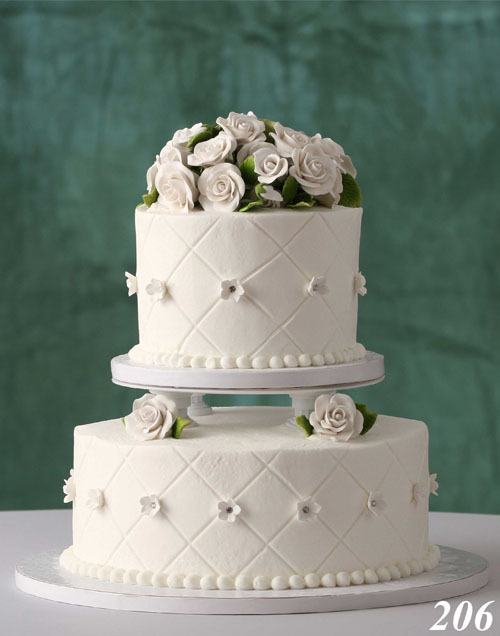 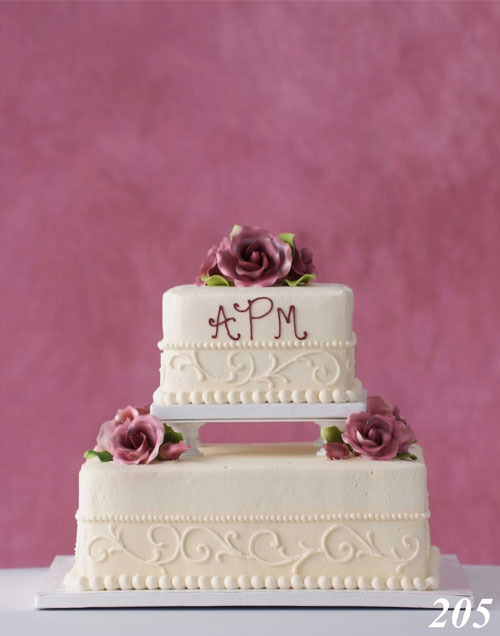 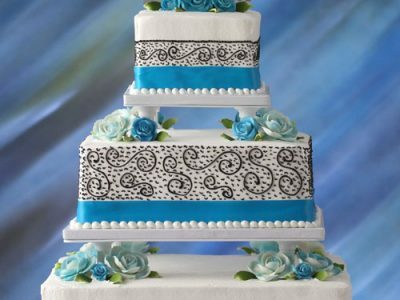 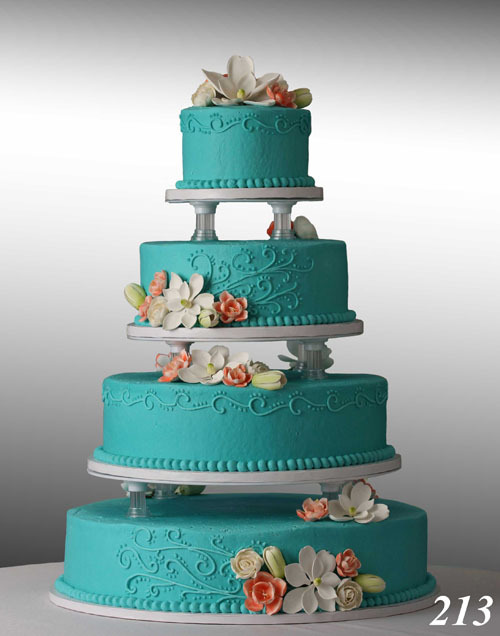 Scroll through our wedding cake designs below and click on the thumbnail to view the photo. 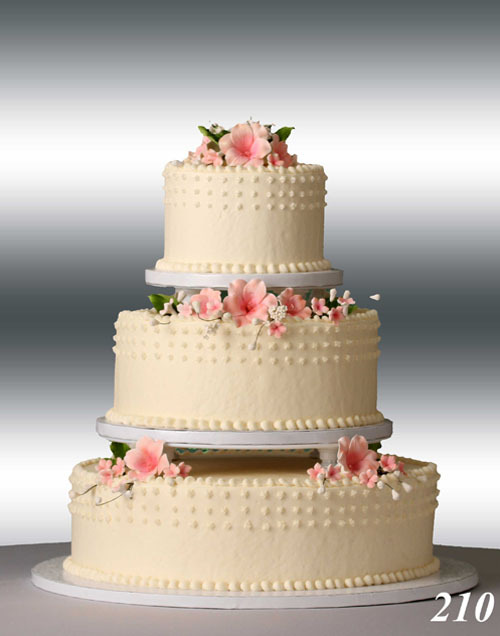 Use our online store directory to give your store a call today. 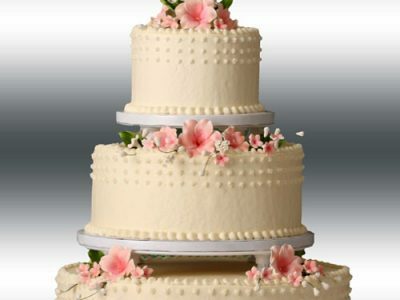 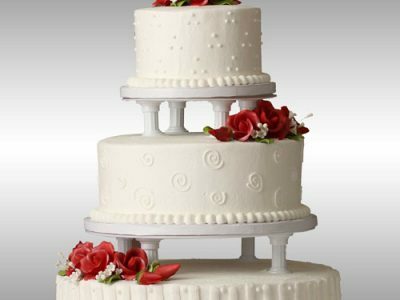 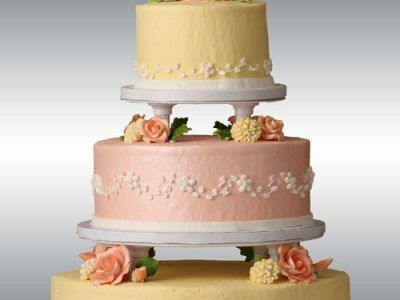 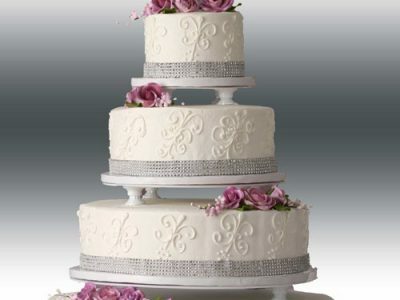 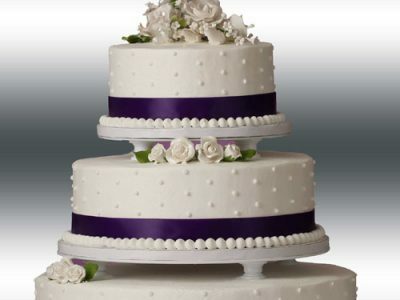 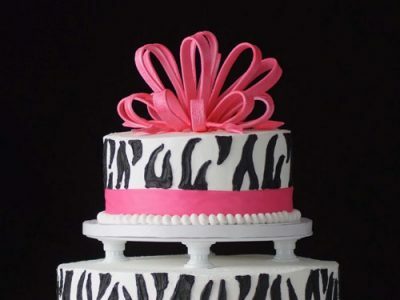 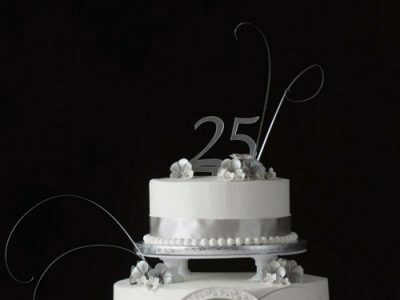 To ensure your order will be available on time, all wedding cake orders need to be finalized 1 week prior to your event. 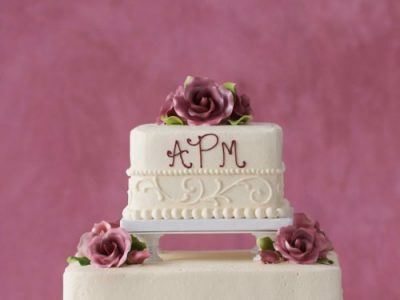 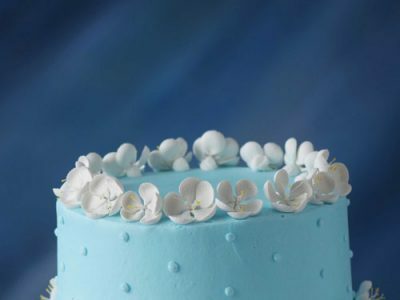 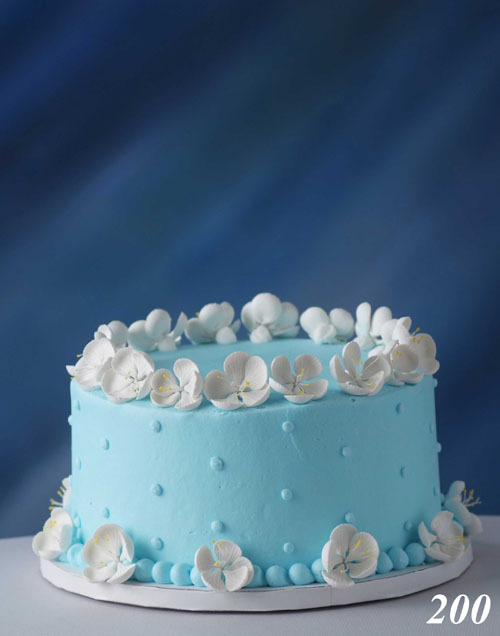 We can use white, yellow, chocolate, almond, lemon, red velvet or marble dough for your cake, or we can make each tier in different dough (example: one tier white dough, one tier marble dough). 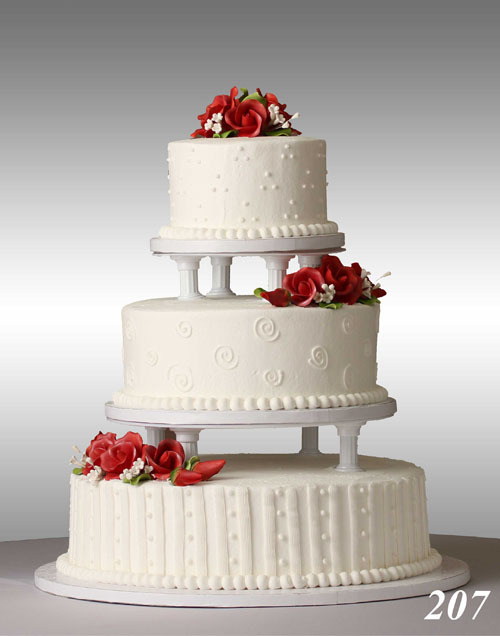 We cannot make the bottom tier in chocolate dough or red velvet due to the consistency of the dough. 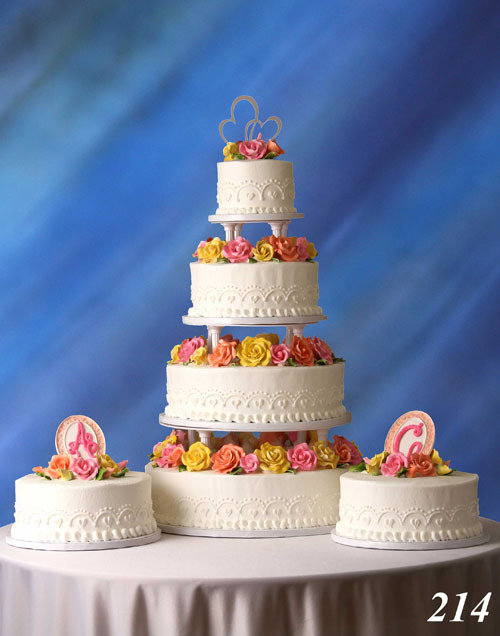 If you want a specific color for the flowers or trim (example: to match your bridesmaids’ dresses), please furnish a fabric swatch and we will match it as closely as possible. 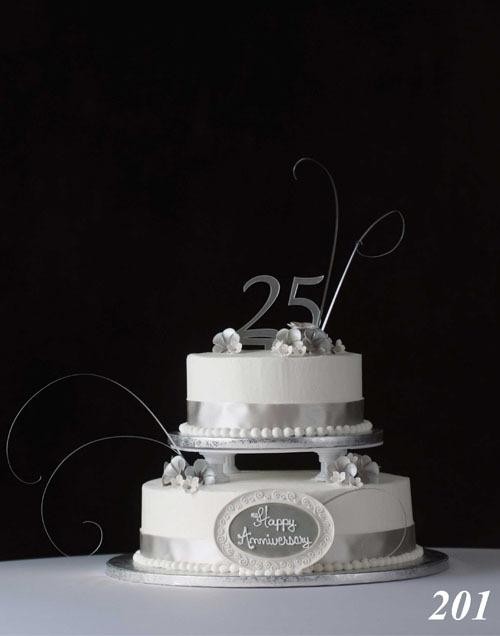 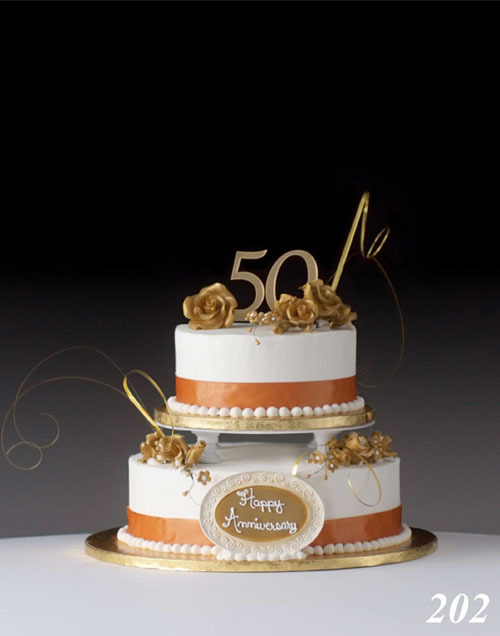 You may pick up your cake at your Schnucks store or have it delivered to your venue for a nominal fee. 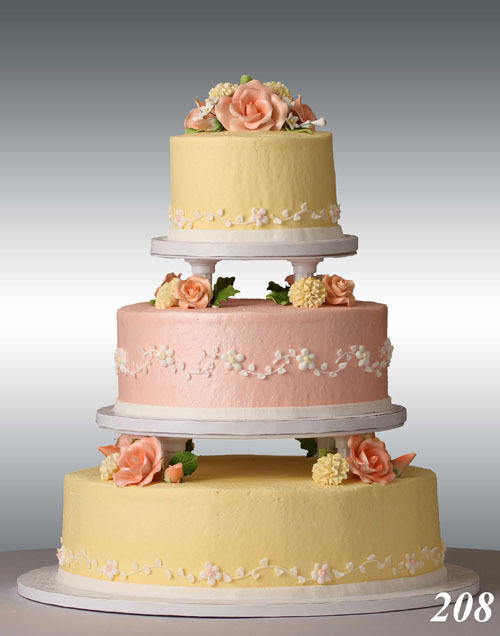 We deliver up to 3pm and not on Sundays. 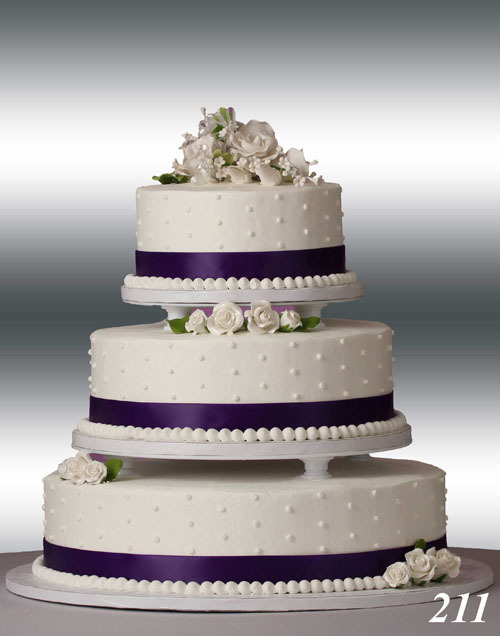 We strongly recommend having your cake delivered directly to your venue location if it is three tiers or more. 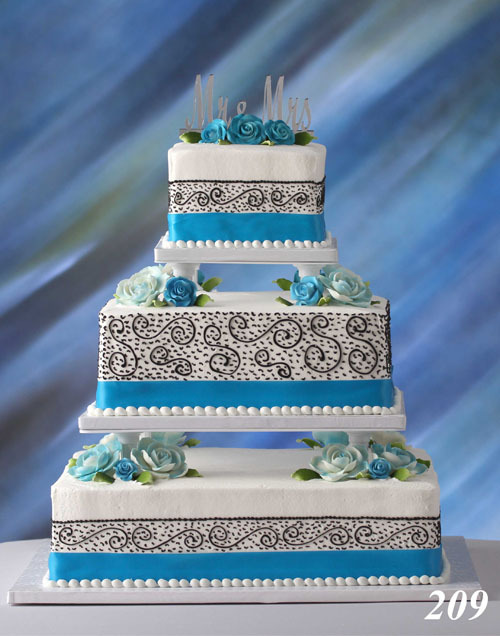 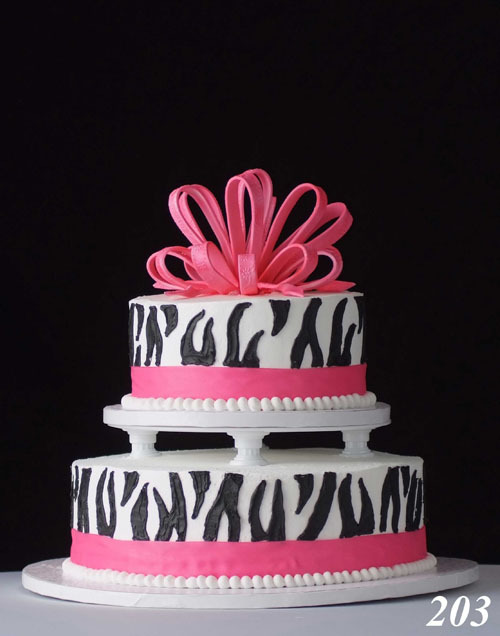 All of our cake designs are available in various sizes. 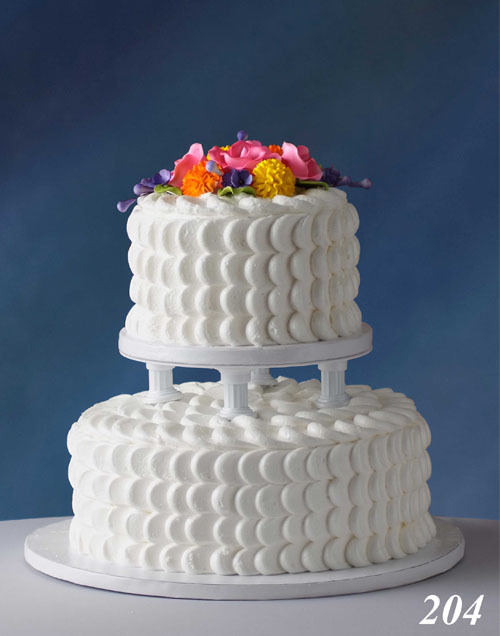 Our tier cakes consist of two cake layers with icing between the layers. 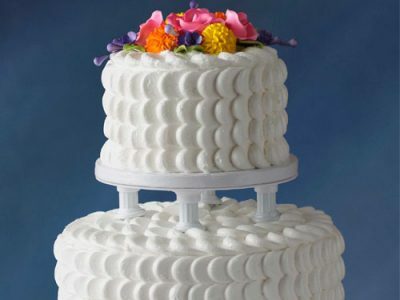 No fruit filling/whip cream icing between cake layers.